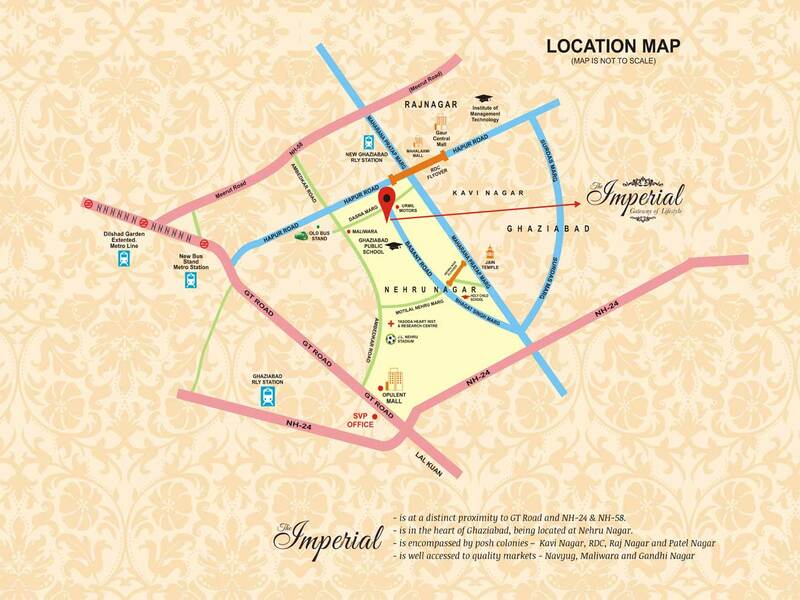 SVP Group presents ‘The Imperial’ (The Gateway of Lifestyle), the finest residential facility in the heart of Ghaziabad – Nehru Nagar. This project is an exclusive collection of the most discernible spaces. Each facility is enviable, unique and designed to fit the distinctive taste of individuals that are driven by purpose and taste. From malls, schools, quality medical facilities, recreational centres and standard markets, you won’t have to struggle to get your needs. Some of the popular markets around there are Maliwara, Navyug Market, Ghandhi Nagar and Turaab Nagar. Even more, you won’t have to struggle for spaces either as parking lots or just for activities, the facility is built to give you explicit access to fun and freedom. 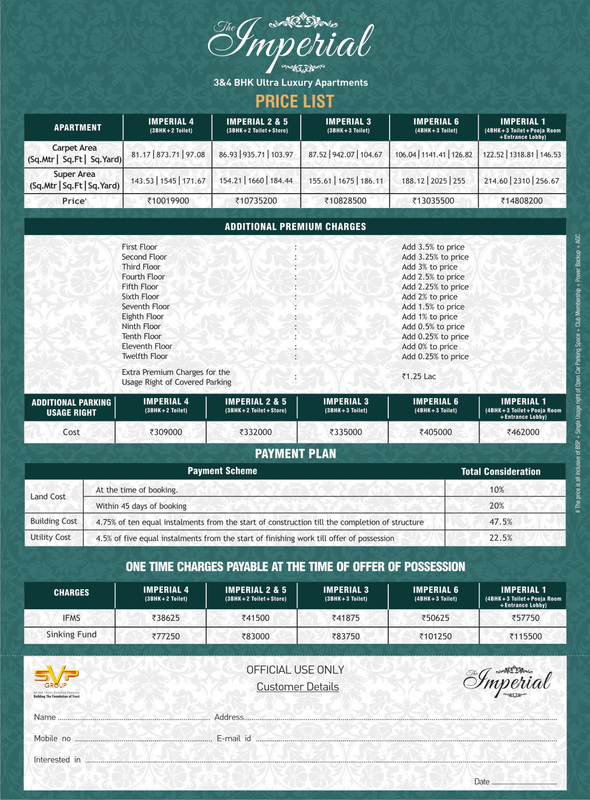 The Imperial is your best option for a peaceful life with a load of forms. Take out time today to check out these 72 affluent apartments, consisting of 3 & 4 BHK Units and be one of the owners of the most treasured addresses around. In return and, as an addition to the all the facilities stated above, you will also have a complete access to modern facilities like Roof Top Garden, Roof Top Cafeteria, Roof top gym, Open Air Amphitheater, Two Tier Security Surveillance, Separate Waiting lobby and many more. Why leaving in the past when you can leap into the future. Eco friendly earthquake resistant RCC framed structure designed by highly experienced engineers, structure certified by lIT or similar institution. High quality construction material to be used. Electrical work with copper wires in concealed PVC conduits. 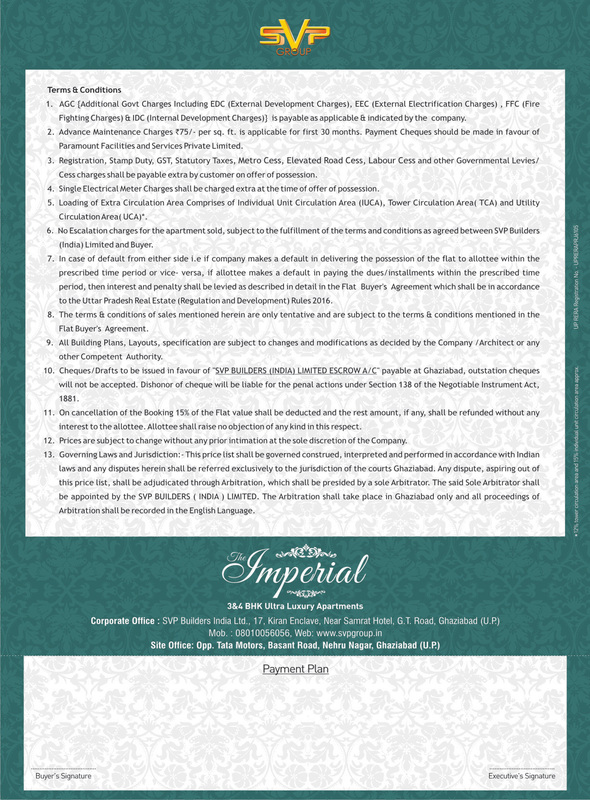 Provision shall be made for sufficient lighting and power point fittings & sockets. Telephone and TV point in bedrooms with switches. Provision of split AC.